Welcome back. We are talking about addiction. This is our third podcast in our series of addiction. Today, we're gonna be talking about eating for the recovering brain, how to put the brain in a healing state if you are a recovering addict or if you're a therapist who deals with recovering addicts. This was actually requested by a therapist on my Facebook page, so thank you to that therapist. We are dedicating this to you 'cause we listened. She listens to our podcast. If you have topics that you want to have covered, please write to us. If they fit in with what we do on this podcast, we would love to be able to help you out. I wanna read this testimonial, 'cause I love this. This is what pushes on my pleasure center, since it's not drugs for me. This is my drug. I love this. This says, "A must listen. I've been listening to all of the podcasts during my commute to and from work. I learned about this podcast after having listened to the audio version of Dr. Amen's book, Change Your Brain, Change Your Life. It's so interesting and informative, and the podcast is an entertaining tool. The banter between Dr. Amen and his wife, Tana, keeps things light and entertaining as well as comfortable while discussing many difficult or serious topics. They share personal stories, which makes them feel like friends. I highly recommend subscribing to their podcast. I would love to visit one of their clinics." Thank you so much. There's no name here but she says, "Healing my brain," so she is a brain warrior. I think it's a she, it might be a he. But thank you so much, healing your brain. I love that. Dr. Daniel Amen:	... right? Tana Amen:	... isn't it? Dr. Daniel Amen:	We were helping someone in our family, and you had got some furniture. It came in boxes as opposed to came put together. Tana Amen:	And I recruited you. Tana Amen:	I recruited you. Tana Amen:	But I have to preface this. My husband is really, really, really busy. He travels a lot. He's on your, what, 40-what book? 44th book? 45th book? I don't know, crazy. So he's doing his 13th PBS show, it's pretty intense. So on his one day off, I'm like, "I need you to come over with me to get this apartment set up. I have four days." I got this apartment, I bought furniture, had it put it in, decorated it in four days. So it was pretty crazy. On his one day off, I'm like, "I need you to come over." I did not tell him that I needed him to put together furniture, but he did that. I have to tell you, we all have our love language. Well, mine is acts of service, and it worked. That pushed on my pleasure center. Dr. Daniel Amen:	I know. Tana Amen:	So you put together furniture for me, he was ... I have to tell you, I'm gonna be really honest 'cause we're honest here. He was really irritated, okay? He was annoyed, putting together furniture. He's like, "I haven't done this since college. Why am I doing this?" And I'm like, "You know, you should really stop complaining 'cause it's kinda hot, actually. It's nice for your wife to know that you actually know how to use a screwdriver. So let's just go with that and finish putting the furniture together 'cause this is working in your favor. So let's leave it there." Dr. Daniel Amen:	... marriage. Tana Amen:	... it's kinda hot when your husband doesn't own a screwdriver but actually knows how to use one. Dr. Daniel Amen:	Are you kidding? Tana Amen:	You just never use them. Dr. Daniel Amen:	Not often. Tana Amen:	No, so it was really cool. Anyways, let's talk about the recovering brain. 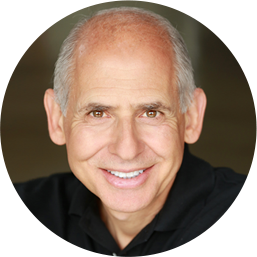 Dr. Daniel Amen:	Food and pleasure centers. Because one of your best gifts, you have many, is taking super healthy, reparative food, medicine-quality food, and make it taste awesome. Tana Amen:	Here's what I like about this. Number one, we're talking about food to heal the recovering brain. Right? But it's not really significantly different than what we talk about for what we do in our clinics and The Brain Warrior's Way. 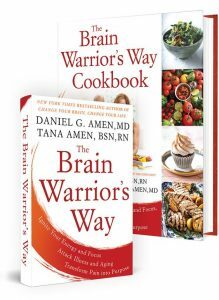 In your new book, Memory Rescue, we still use the cookbook, The Brain Warrior's Way Cookbook, and our website, Brain Fit Life. The recipes are on there. The recipes are the same. Why? Because what's good for your brain, to heal the brain, is good for the rest of your body. It's gonna put it in a healing state. This is not too difficult. Tana Amen:	'Cause they don't know. Tana Amen:	So two reasons, some people don't know, and most of the leaders are addicts. That's the truth, they are food addicts. Dr. Daniel Amen:	... hard. Dr. Daniel Amen:	... they're feeding addicts addictive food? Dr. Daniel Amen:	'Cause it damages their ability to get well because it's wearing out their pleasure center. Tana Amen:	And it keeps them constantly ... The part of their brain that triggered their addiction is constantly being triggered. All they need is to be a little too tired, a little too hungry, a little too lonely, and if that part of that pleasure center's being triggered, they're gonna be thinking about addiction. Dr. Daniel Amen:	You just started with the acronym to help prevent relapse, which is HALT. Dr. Daniel Amen:	We call it HALT-plus. But don't get too hungry 'cause low blood sugar levels are associated with lower blood flow to the brain, which means more bad decisions. Don't get too angry. We've actually done studies of people focusing on what they love about their life versus what they hate about their life. When you focus on positive things, your brain works better. If you focus on negative things, it's hard to learn and it's hard to make good decisions. Don't get too lonely, so H-A-L, lonely, because when we're disconnected from people who care about us and that we care about, it actually has a negative impact on the brain. Did you know that loneliness is a risk factor for Alzheimer's disease? Tana Amen:	Car accidents are more pervasive. Dr. Daniel Amen:	One of our famous young patients, his blood sugar was dangerously low. That's often when he might make bad decisions. Tana Amen:	And one of our very famous patients ... Did you say our physicians or patients? Dr. Daniel Amen:	When people do bad things, rather than judge, go, "Why?" If you can be curious and not furious, you just can be so much more effective. Tana Amen:	One thing I wanna point out, since you brought up the treatment center that we put our program into, the results when we finally explained to them why it was so important to change the food and really educate the people, the people just took it in. I mean, the people that were recovering took this information and they understood it. They were excited because these people wanted to get well. They understood it. It was harder getting the leaders on board because that was a harder thing to do. But these people who were recovering really understood it, and our results were off the charts. It was unbelievable how well they understood it. Dr. Daniel Amen:	Talk about what did you have them eat. Tana Amen:	We still had to do it on a rock-bottom budget. So I'm gonna be honest, I mean, we're not doing this like 100% with all 100% perfect ingredients. We still made it work, okay? So even doing it about 80 to 90%, we made this work amazingly well. We cut out the worst things first. Okay? We always start with cutting out the worst things first. We cut out white sugar. I mean, we just got rid of the white sugar. And then we started next with things like the white bread and the white potatoes. We switched those things. We did things like added stevia, okay? We added brown rice instead of white rice. We switched ... Now, I would rather you get rid of bread but they added some wheat bread. When they could, they did gluten-free things. Dr. Daniel Amen:	... the healthy protein. Tana Amen:	70/30. 70% plant-based foods and 30% high quality protein. We cut out as many of the refined carbohydrates as possible. Tana Amen:	... to things like steel-cut oatmeal instead of Frosted Flakes. Do you see what I'm saying? It wasn't 100% but it was way better than what they started with. Dr. Daniel Amen:	What were some of the results? Tana Amen:	... broke into his house. Dr. Daniel Amen:	... he end up at the Salvation Army? Tana Amen:	Well, a gang unit broke into his house. They took his six kids away, and he went to prison. When he finally went up for parole, the judge said, "You either go to Salvation Army or you go back to prison." He was great. These people scared me when I first started because of my background. But he ended up being amazing, and he lost 85 pounds. He finally passed his GED. He said he could not focus before this. He didn't understand the role that food played. Dr. Daniel Amen:	So his giant pants that he didn't fit into anymore? Dr. Daniel Amen:	'Cause he lost 85 pounds, got his GED, completely transformed his life, and none of this was hard. Tana Amen:	He did a video with me on how to do this on a very, very rock-bottom budget. It's on YouTube, you can still find it. It was really cool. And then another one was John. He said, "I have a six-pack now but the kind that won't get me arrested." I just love that. I mean, he lost like, I don't know, 40-something pounds. But he said, "I finally have a six-pack but it's the one that won't get me arrested." I just thought that was so cool. I mean, I had dozens of these testimonials. Dr. Daniel Amen:	So food matters. Dr. Daniel Amen:	... rescue your brain, it starts by knowing your type and by loving your brain. But you gotta get your food right. 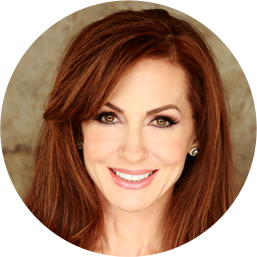 Tana Amen:	Everything you put on the end of your fork matters 'cause it affects your mood day-to-day. This is not just a long-term thing. It affects your mood day-to-day. It affects the moment-to-moment things you do. It affects your outlook. We talked a little bit about ... Food affects dopamine, whether or not you need more dopamine. It affects whether or not you need more serotonin. We talk about this in great detail in The Brain Warrior's Way Cookbook, about what to eat for helping if you need to settle down your anxiety, what you need to do if you need to increase your focus. All of those things are in there, but all of the recipes are designed to help the recovering brain. You can go to the website, tanaamen.com, or if you're a member on BFL, you can go to BFL and all of the recipes are on there. Dr. Daniel Amen:	Brain Fit Life, mybrainfitlife.com. Dr. Daniel Amen:	... will but it. Tana Amen:	This is long. I mean, there's a lot here. Right? That's why we wrote the books we wrote, to help you with this. Dr. Daniel Amen:	Well, we hope people will stay with us for a long time. Dr. Daniel Amen:	Stay with us, we will be back. You're listening to The Brain Warrior's Way. ← What Are The 5 Brain Types Associated with Addiction?